At a festival, there are multiple people connected to a WiFi hotspot - usually these are at static points around the site. 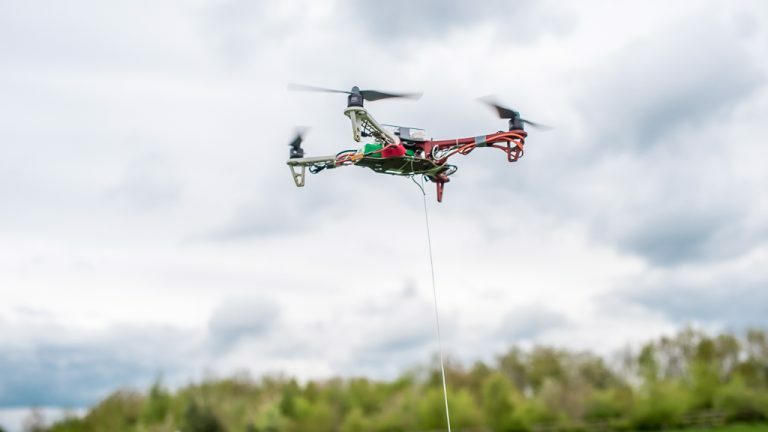 With this system, as the users walk around the festival site, the drone(s) would track their movement to provide the best signal to the most users. It could also be used for search & rescue or for communities isolated after natural disasters, such as the flooding in Puerto Rico. I built this simple simulation which models how the drone (the purple triangle) would track the user (the pink cuboid) and predict its location (the blue cuboid). You can move the user round using the arrow keys and move the camera using the mouse (use scroll wheel click and drag to change the angle). Received Signal Strength (RSS) is a measurement of the power of the received signal at a device, which is typically measured between 0dBm and -100dBm; for WiFi, typical values range between -30dBm to -90dBm. These RSS measurements are then converted into a distance away from the drone and trilaterated to give a position for the user. Of course there's a bit of noise and inaccuracy, as simulated and shown in the demo. 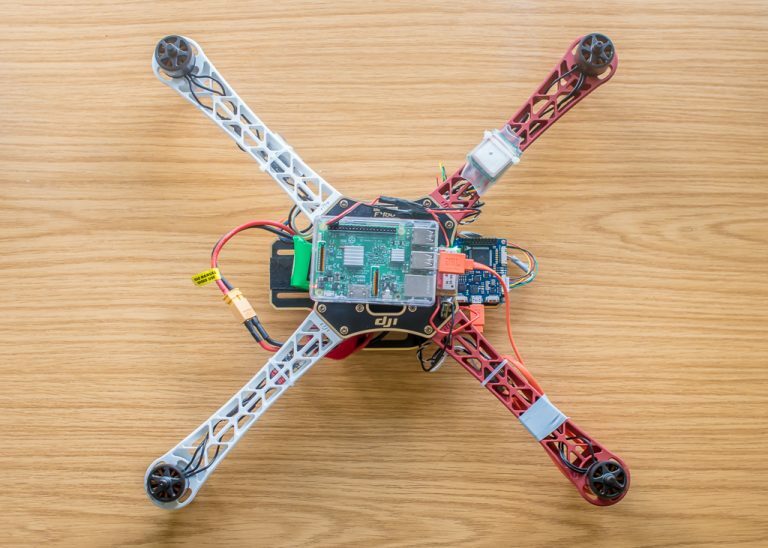 This project was a proof-of-concept using a single drone to work out the viability of a system like this and algorithms involved. It is definitely possible, as the report shows, and there are various improvements that could be made, such as using a fleet of drones, adding sensors and more remote controls. I'm pleased to say that the university are continuing research into the project and future students are working on the drone.